Everleap announced today a partnership with SiteLock LLC (www.sitelock.com), the global leader in website security and PCI Compliance. Everleap now offers SiteLock's suite of website security and acceleration products to current and new customers of their premium cloud website hosting platforms. Everleap is a modern hosting solution built on the Windows Azure Pack platform. Sites run on load balanced cloud web servers, which make web server downtime a thing of the past. Servers can be added instantly, seamlessly replicating a site across multiple servers. In fact, two web servers are available for every Everleap site right out of the box, at no extra charge. Additional resources can also be added, making the service both fault-tolerant and flexible. Sites can be hosted on shared or reserved servers. The Everleap Reserved Cloud Server is a fully managed private cloud server with resources that are dedicated exclusively to sites for a single customer. Reserved Cloud Servers boast more available memory, dedicated CPU, and no idle time-out restrictions or limits on number of concurrent connections. "Our decision to move forward with SiteLock website security was a result of their comprehensive Find, Fix, Prevent, Accelerate and Comply product solution set," says Takeshi Eto, VP Business Development for Everleap. "Of specific importance to the team here at Everleap was SiteLock's enhanced security Web Application Firewall -- TrueShield, along with their TrueSpeed acceleration component, which speeds up website performance using SiteLock's global CDN (Content Delivery Network)." "We are very excited to add Everleap to the rapidly growing family of SiteLock partners," says Tom Serani, Executive Vice President of Business Development for SiteLock. "Everleap's commitment to providing their clients with the best experience for their clients' web applications in the areas of improved speed, faster start up, no downtime, and enhanced security are in-line with SiteLock's company mission and vision." For additional information regarding the SiteLock website security product suite, visit www.sitelock.com. For additional information about Everleap, visit www.everleap.com. SiteLock (www.sitelock.com / @SiteLockSecure) is the global website security technology and services leader, currently protecting more than 1,000,000 online businesses. 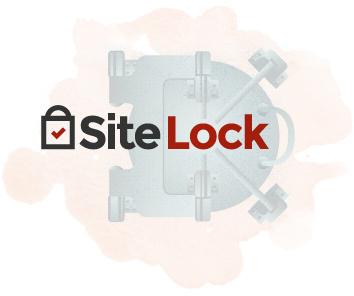 SiteLock delivers a patent-pending 360-degree website security solution that finds, fixes and helps prevent malware and other threats from affecting websites and their visitors. Services include malware scanning and vulnerability detection, automatic malware removal, an advanced web application firewall as well as website acceleration powered by a global CDN. SiteLock also provides PCI Compliance and website support services that are available 24/7. Each subscription to the service includes the SiteLock Trust Seal, which is proven to increase sales and conversions by more than 10%. As a member the Online Trust Alliance (OTA) and StopBadware.org, SiteLock continually strives to educate the online business market about the risks to their websites and help prevent them. SiteLock was founded in 2008 and is headquartered in Scottsdale, Arizona with offices in Jacksonville, Florida; Boston, Massachusetts. For more information, call +1.877.257.9263 or visit www.sitelock.com.